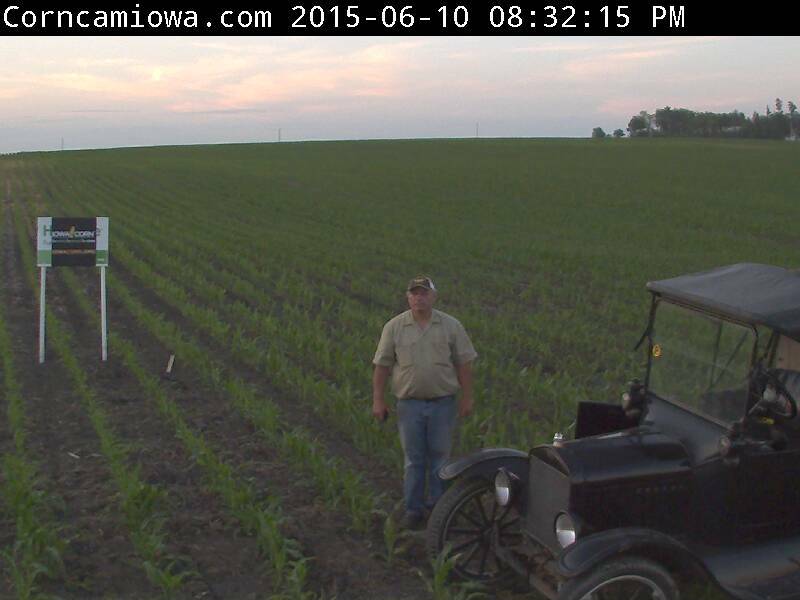 Old and new: Jim standing by his 1919 Model T Ford. 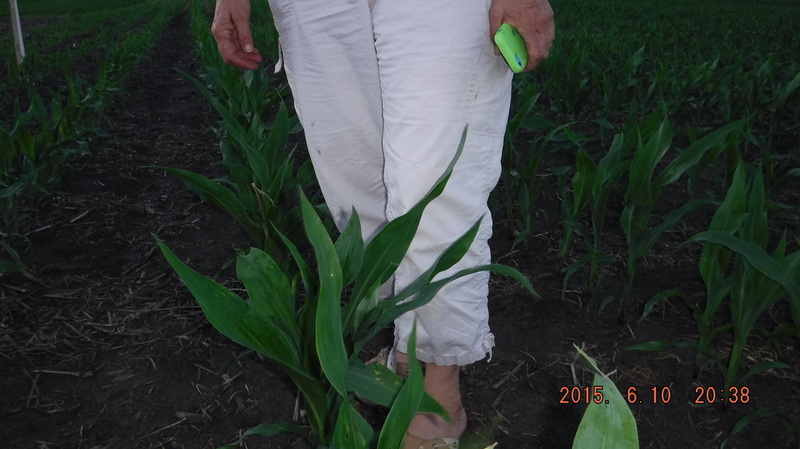 June 10: Corn is knee high. 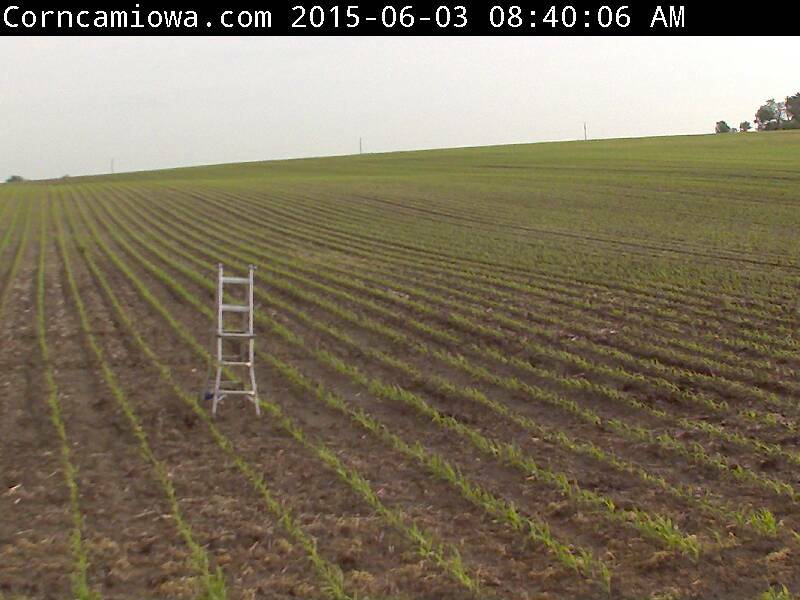 It has been in the ground for 1 month. 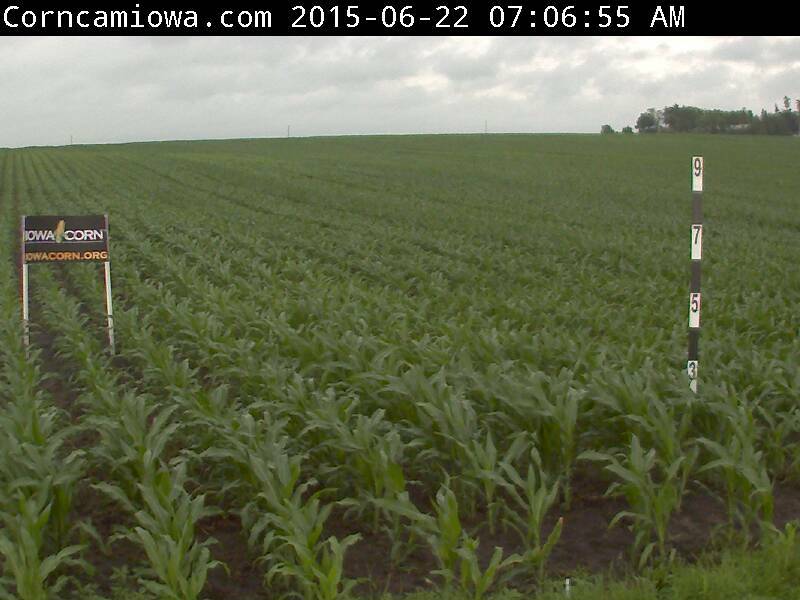 June 8: Corn is about 12" tall. 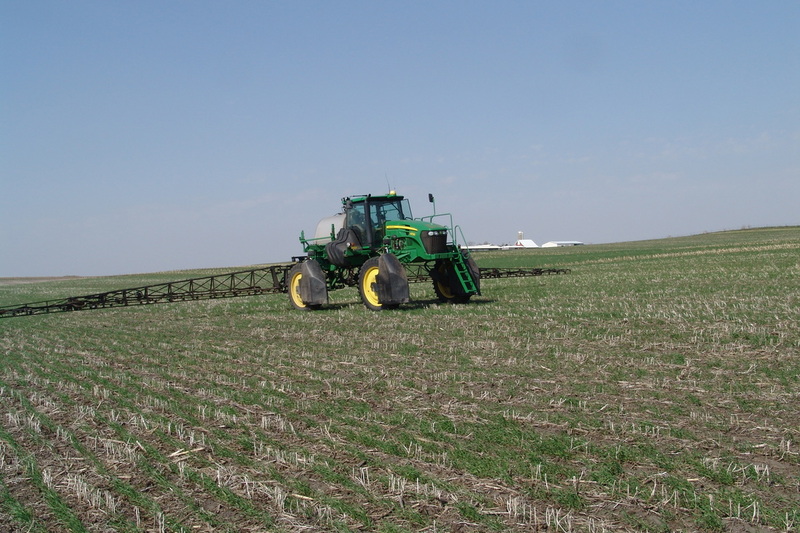 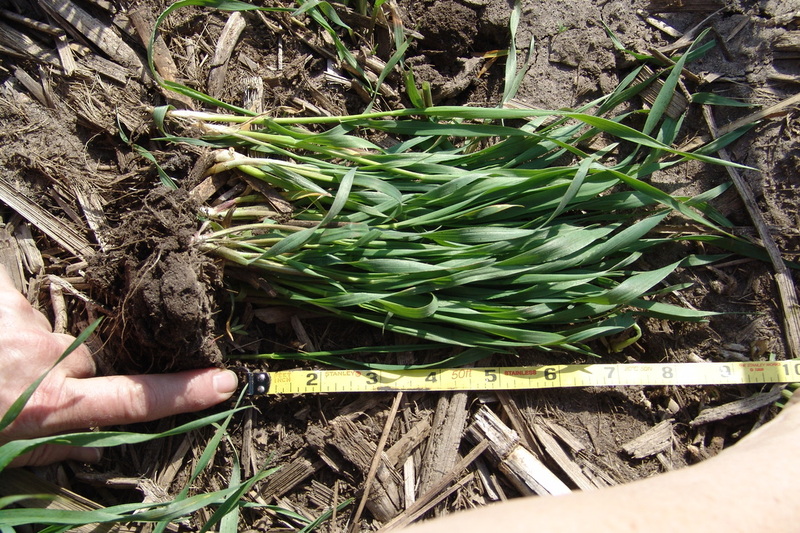 June 8: Sidedressing nitrogen - an important nutrient for the crop. 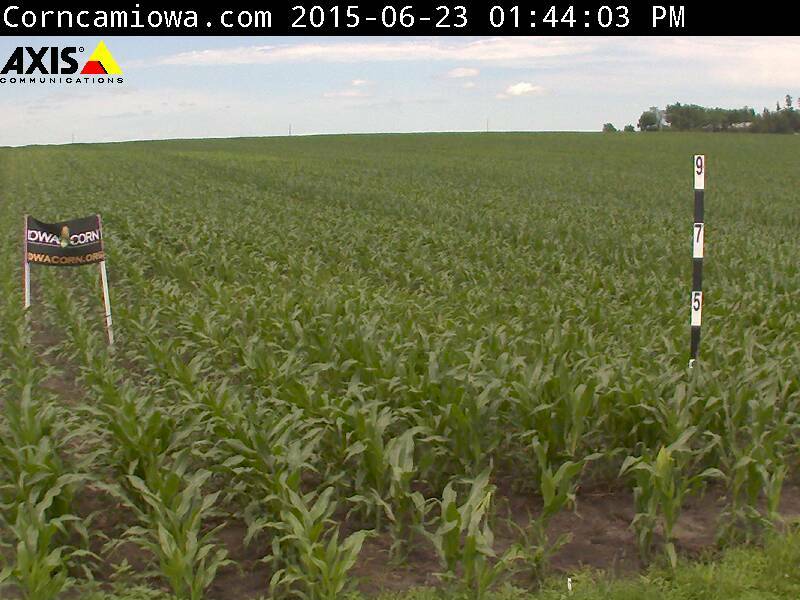 June 4: Corn is about 8" tall. 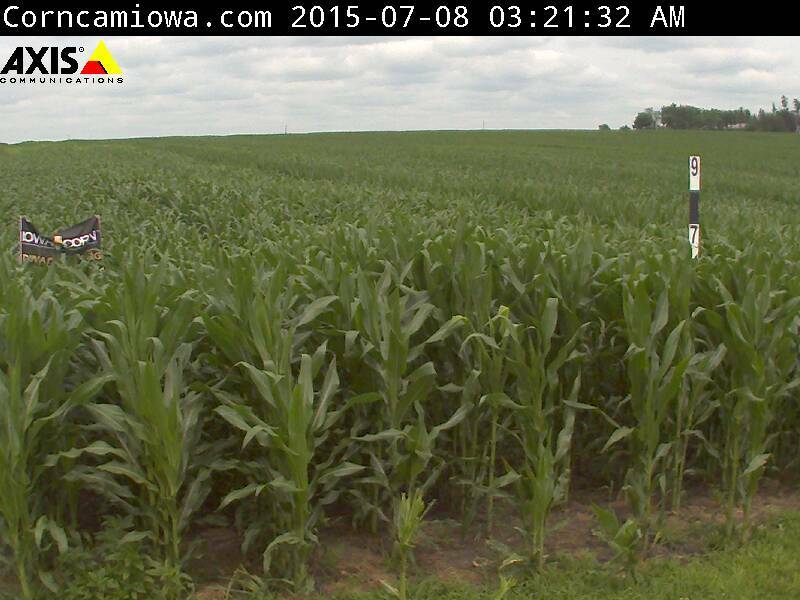 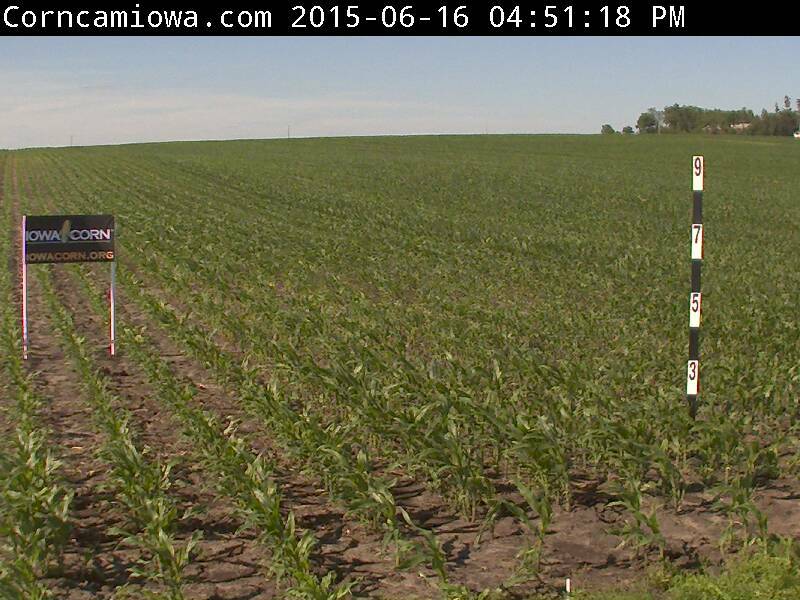 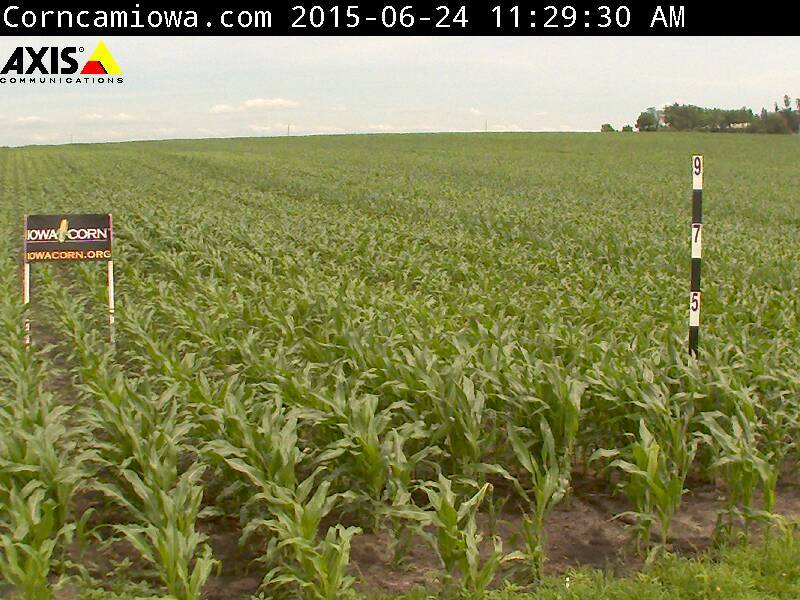 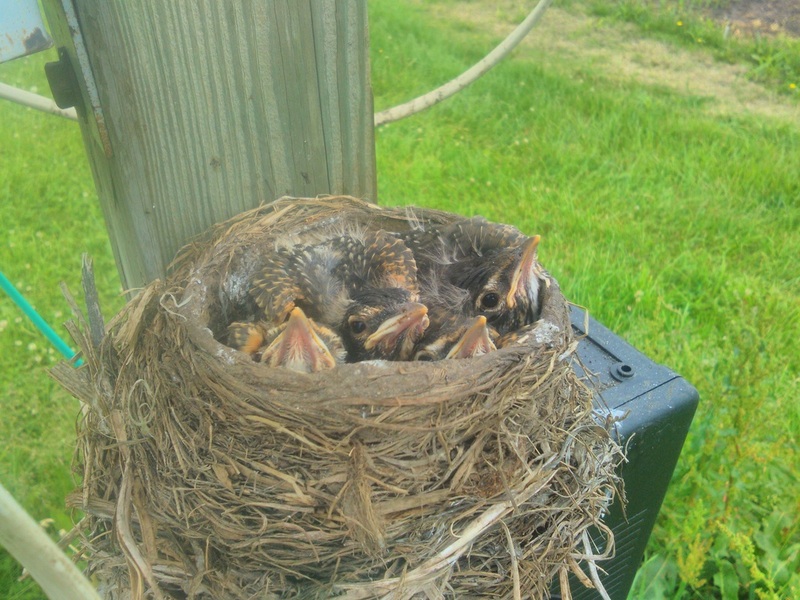 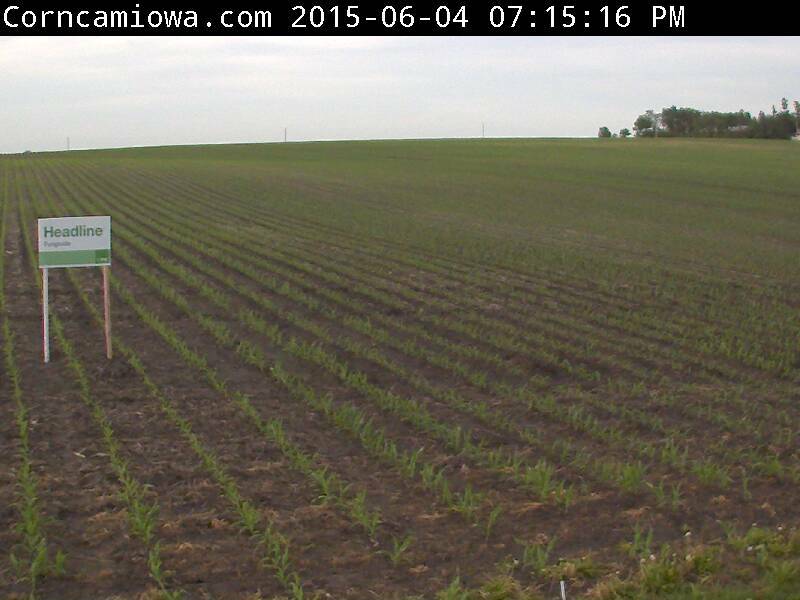 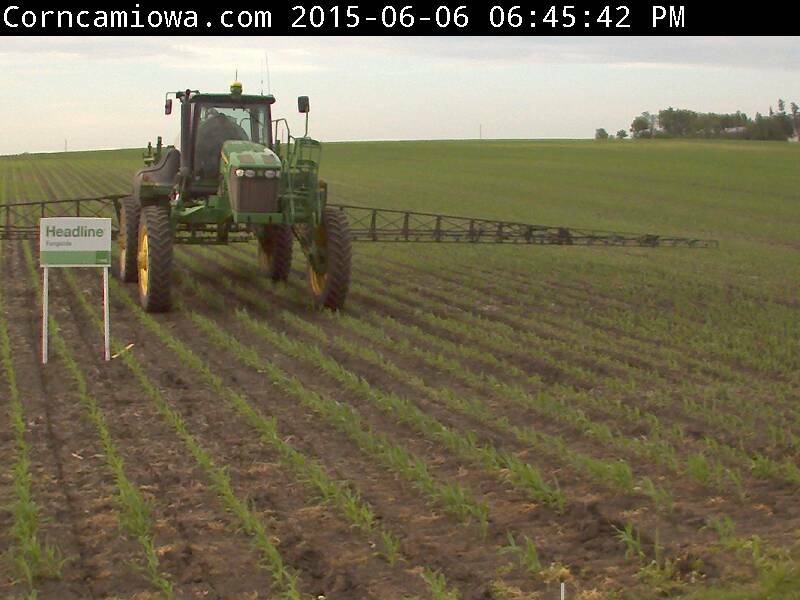 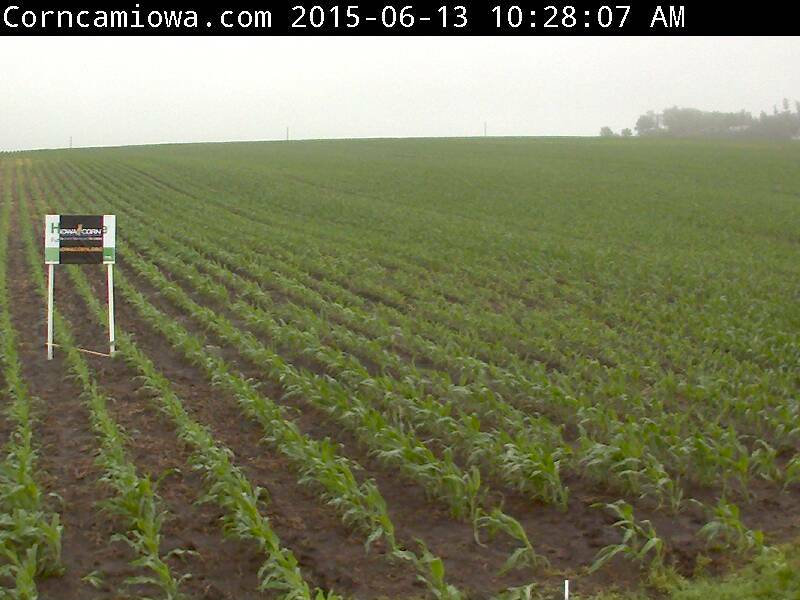 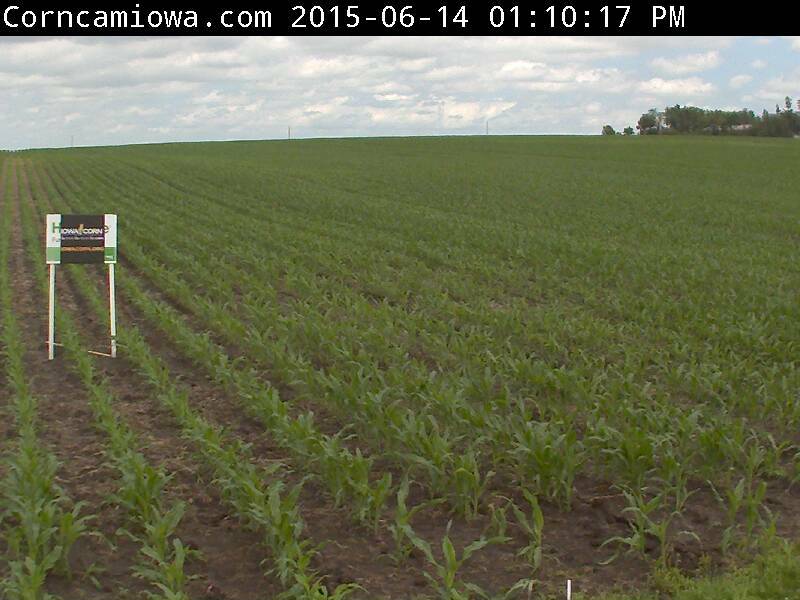 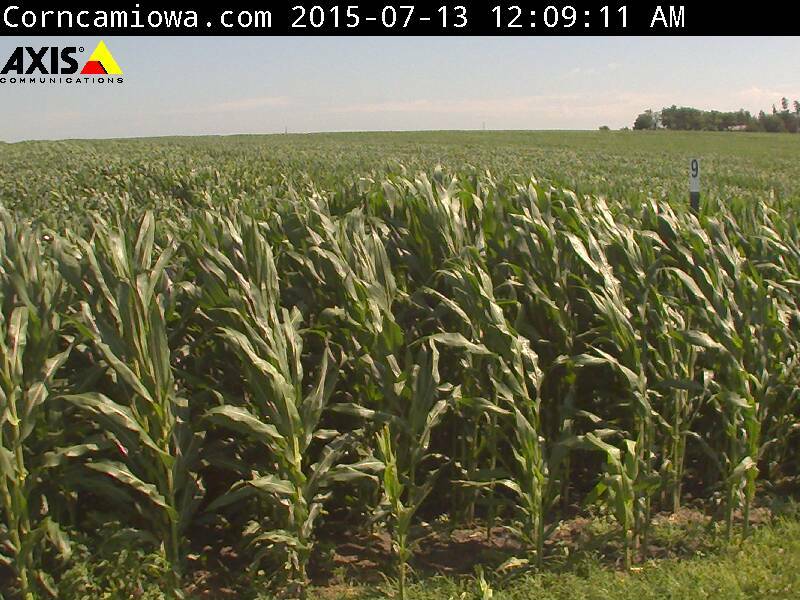 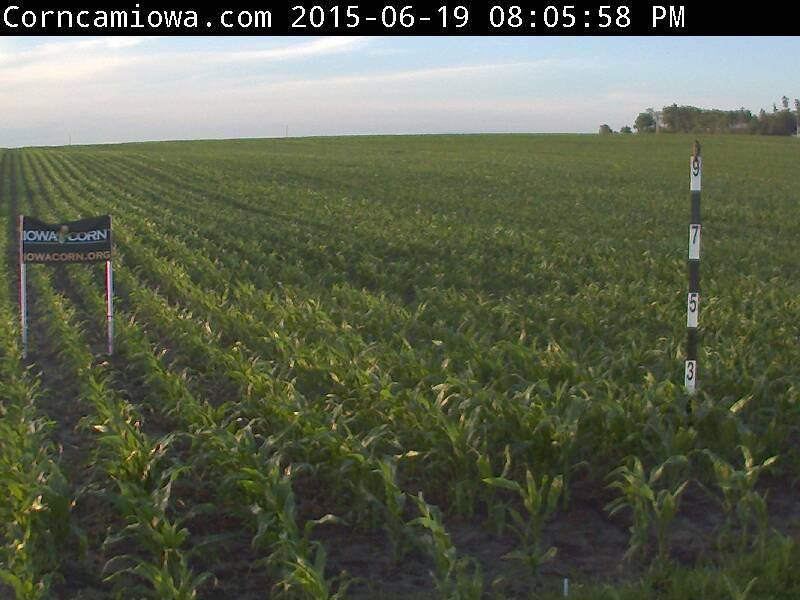 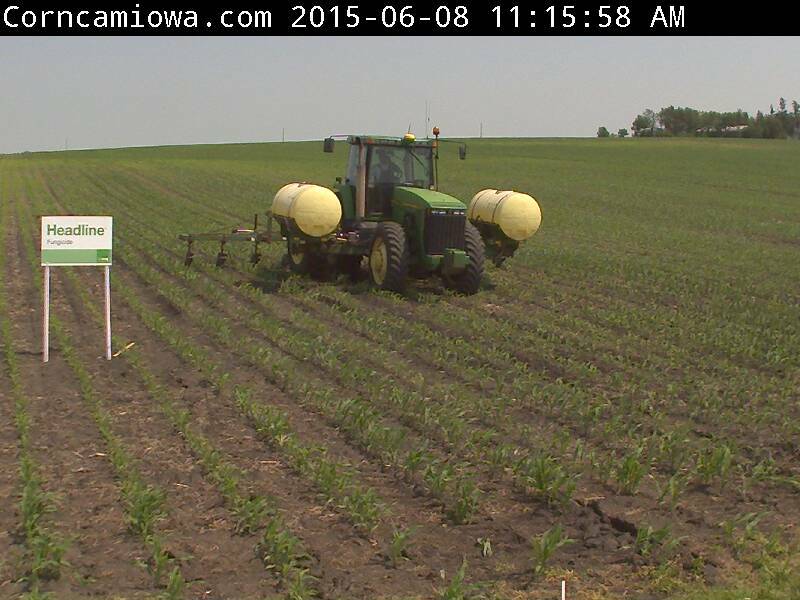 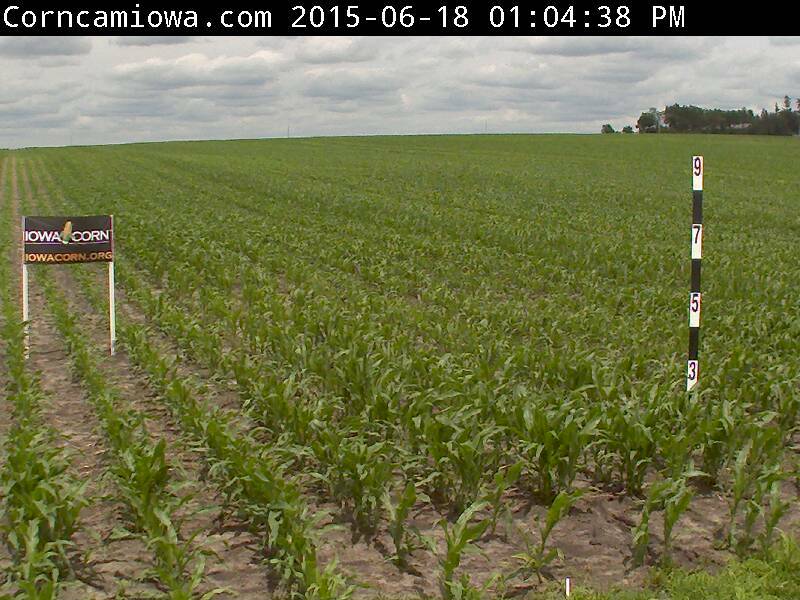 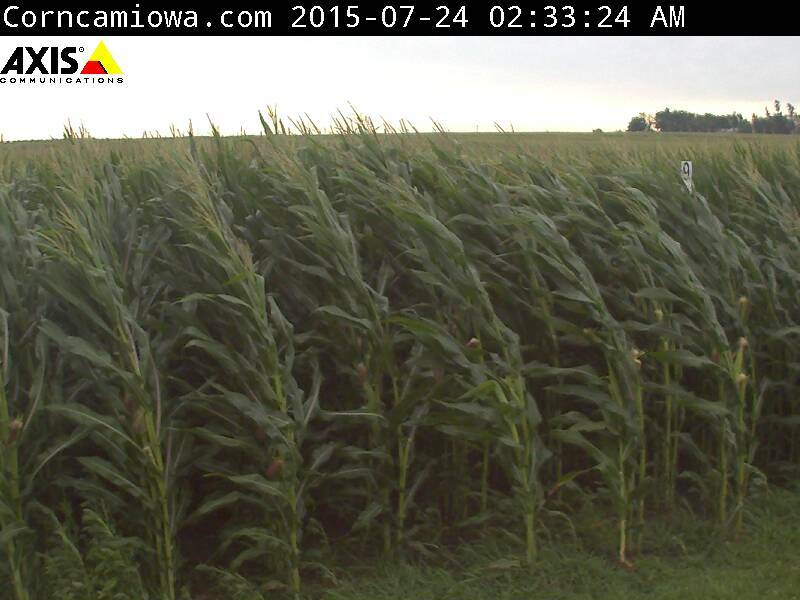 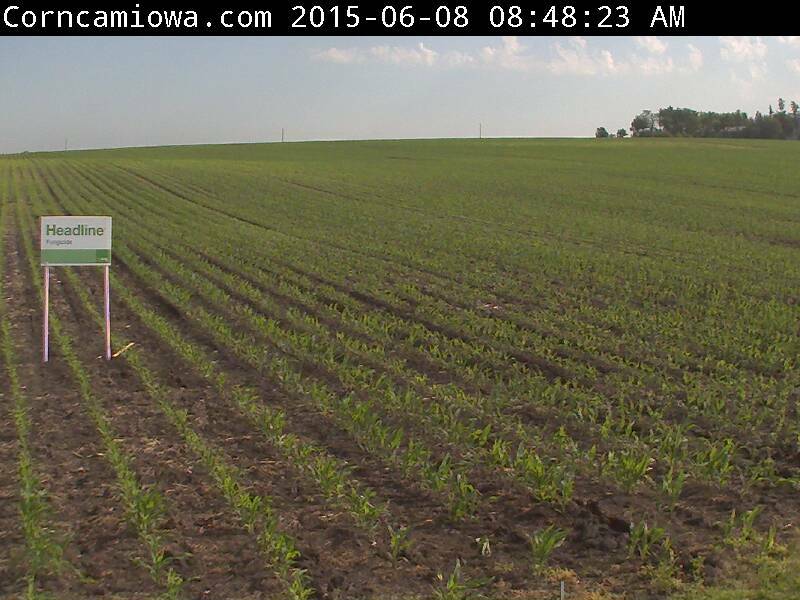 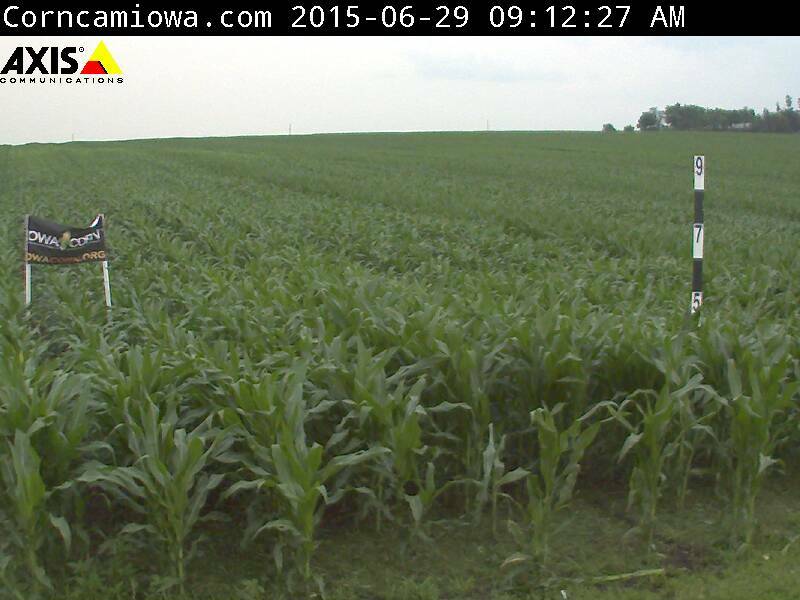 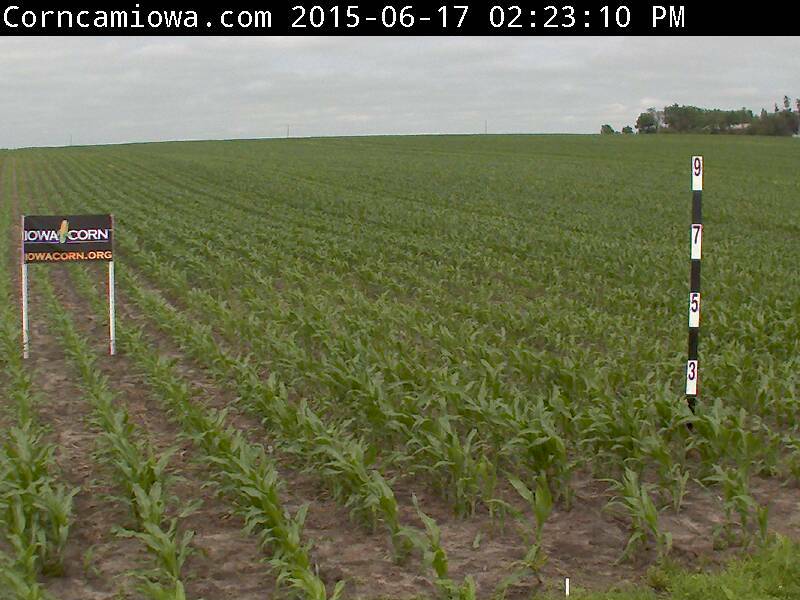 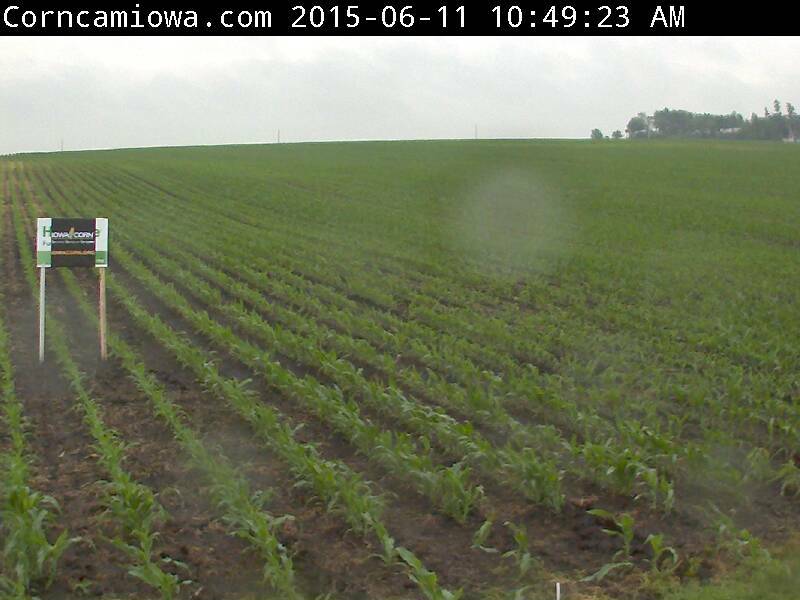 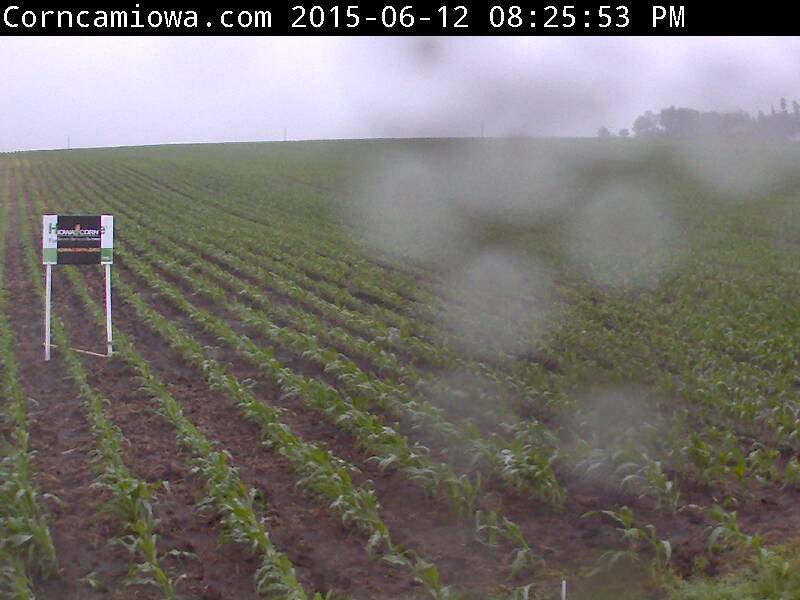 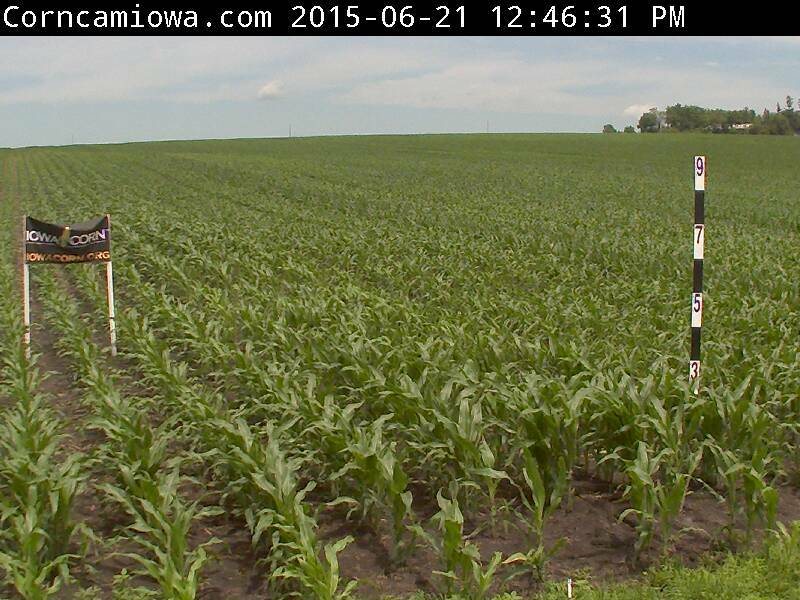 June 3: First pictures from the Corn Cam camera. 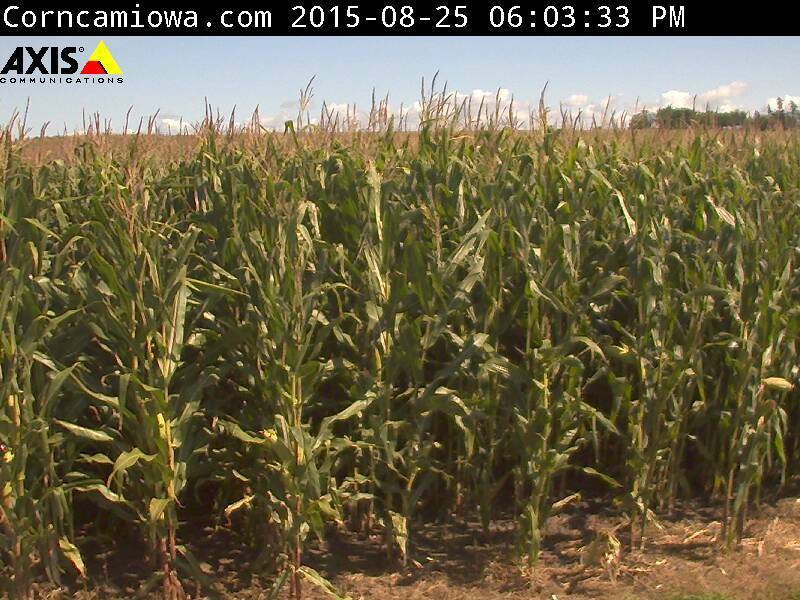 Corn is about 6" tall. 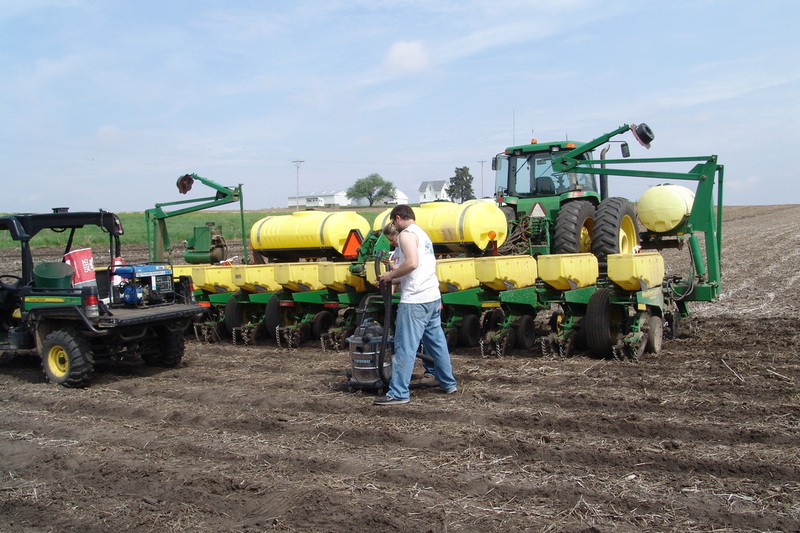 May 9: Planting the corn test plot. 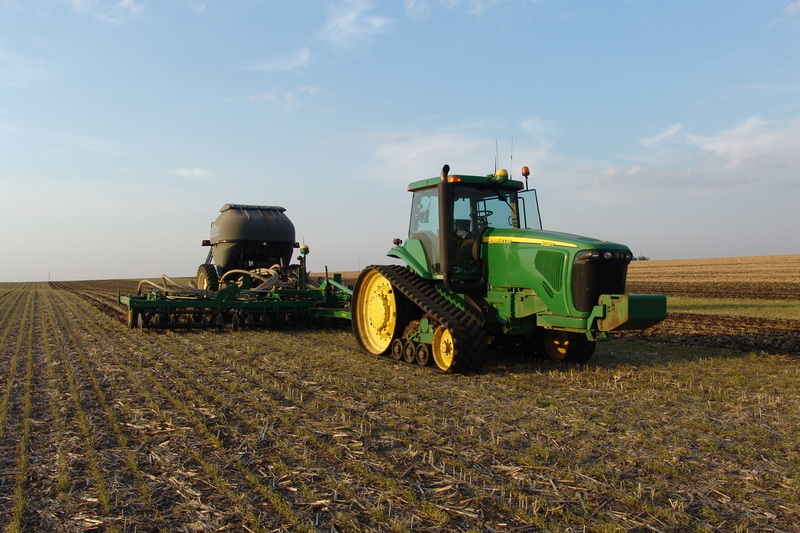 Late April: Application of dry fertilizer with a Strip-til bar. 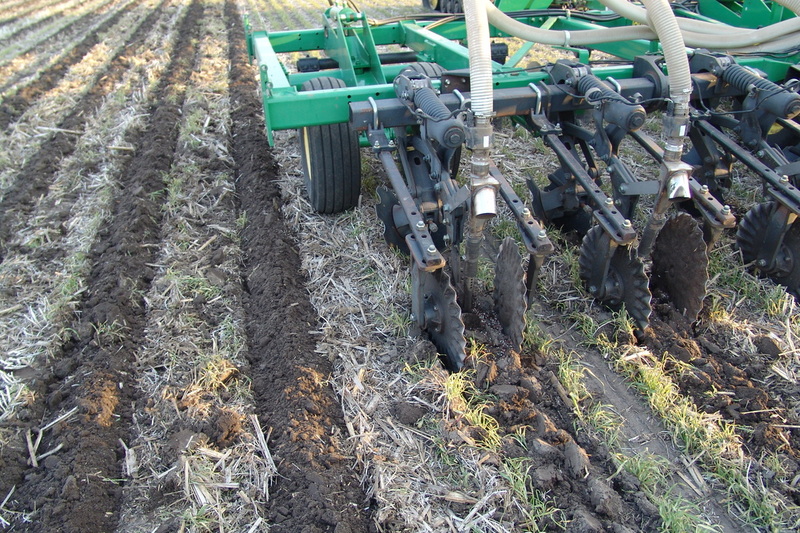 This tool also creates a seed bed for planting. 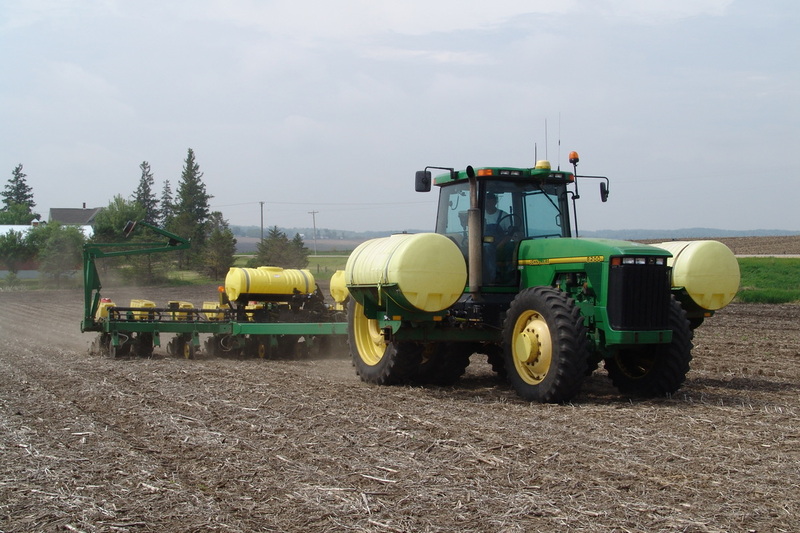 A GPS guidance system keeps the rows straight. 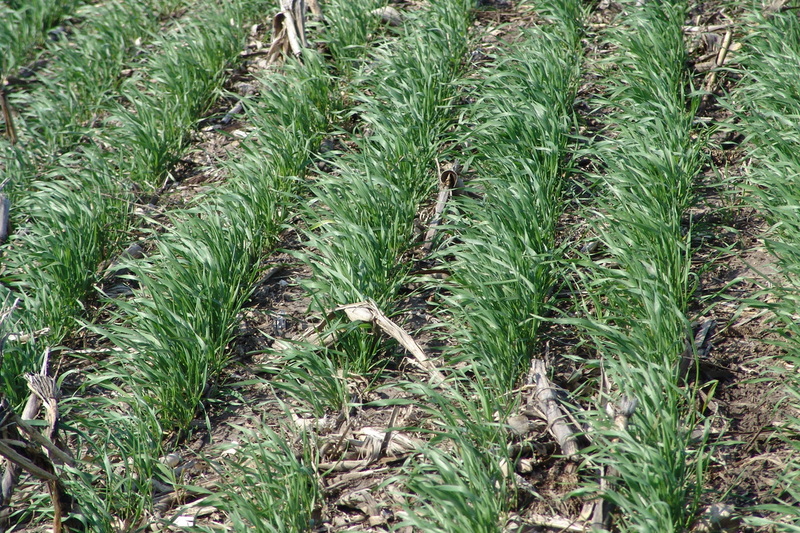 Mid- April: Cover crop Cereal Rye starting to green up. 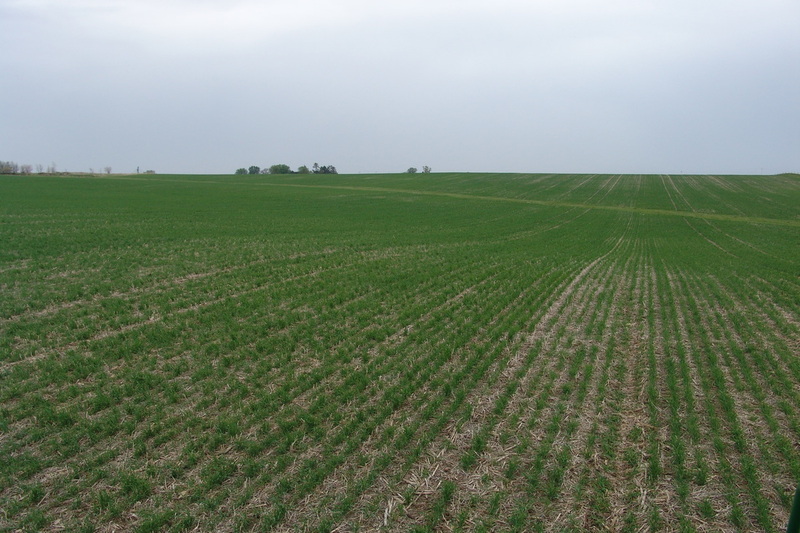 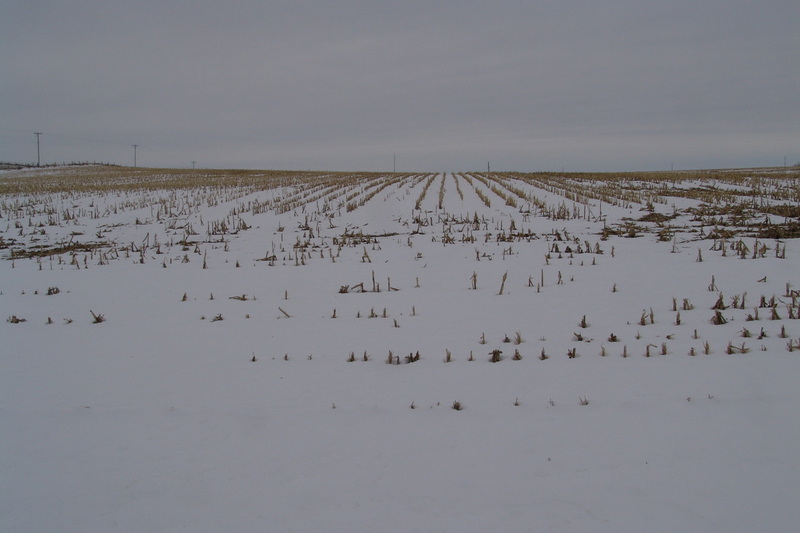 This was seeded last fall after the soybean crop was harvested. 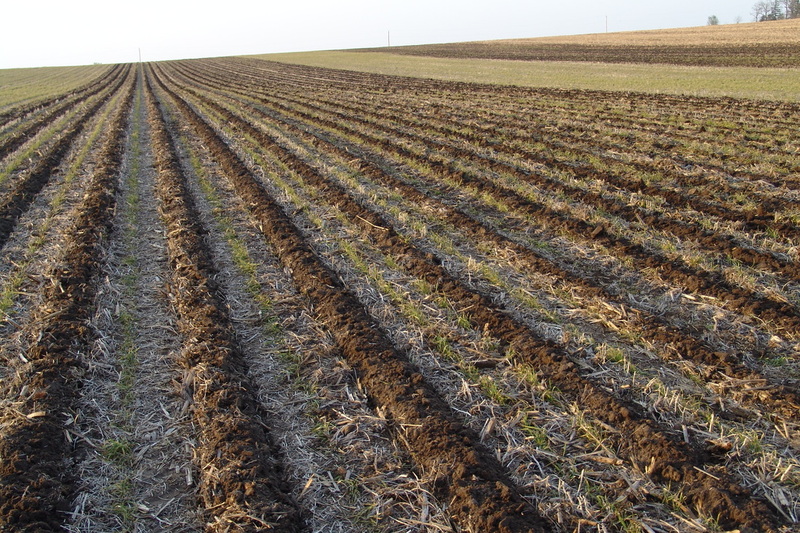 This a relatively new practice to aid in soil conservation and improve water quality.